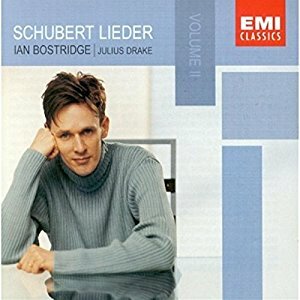 Ian Bostridge’s second Schubert recital for EMI (which features a welcome number of the less familiar songs) is even more impressive than the first–and that’s saying something. Much of the disc finds him in a somber mood, from the hymnlike tone of the first song, “Lied eines Schiffers an die Dioskuren” (“Sailor’s Song to the Dioscuri”), via “Nachtstück” (“Nocturne”) to “Wehmut” (“Melancholy”). But though the tone is frequently valedictory and the tempo often slow, there is never a lack of variety.